Ever since Popeye showed us that downing some spinach at opportune times can lead to incredible advantages, spinach has been acknowledged as an extremely beneficial food. 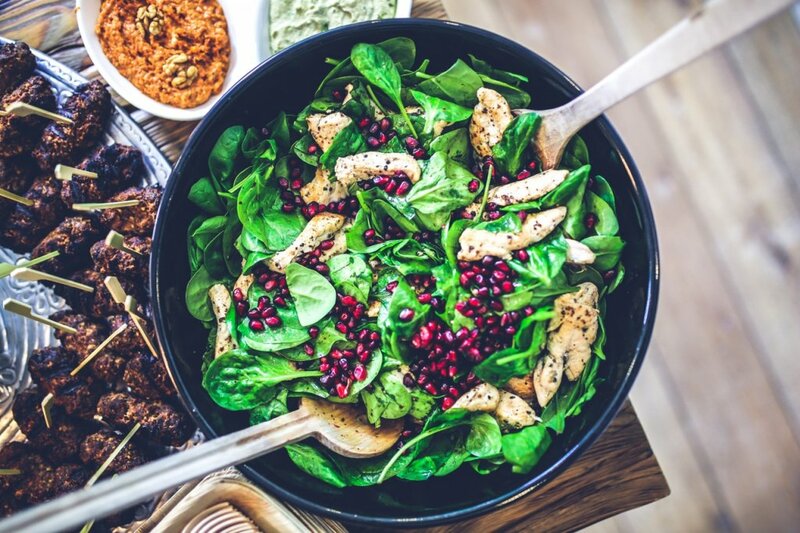 While throwing back a can of spinach may not actually give us the power to punch through walls, there are some very real benefits to adding a hearty amount of this leafy vegetable. Looking at the building blocks of spinach, the vegetable is a great source of a variety of vitamins, including A, B, C, E and K. Spinach also contains carotenes, folate, manganese, calcium, iron, phosphorus, and so much more! Now, for many people, that doesn’t mean a whole lot to you, just some scientific terms being thrown around with a lack of meaning and definition. Since that point is more than fair, let’s look at the real, applicable benefits spinach has to offer. Spinach has Vitamin A and C, as well as natural antioxidants and other nutrients. With those comes a strong boost to your immune system. Spinach can replenish your white blood cell count, which in turn helps your body fight against disease. Also, the beta-carotene and other antioxidants helps protect your body’s cells against damage. Vitamin B is arguably the most important vitamin or nutrient you can put in your system in terms of maintaining your energy levels and keeping your body performing at optimal capacity. Riboflavin, thiamin, and vitamin B6 are responsible for assisting energy pathways in the body, while vitamin B12 and folate aid in the repairing of damaged cells and the increase of red blood cells. Combine these benefits and spinach helps keep your energy intact! Spinach gives you a very high daily dose of Vitamin K, a vitamin known to aid in strengthening your bones. Vitamin K does this by helping your body absorb calcium more efficiently and increasing the amount of calcium your bones receive. This makes spinach a vital food for growing children, as it will help kids to maintain strong bones and have healthy bone development. This superfood also has high levels of lutein and zeaxanthin. You know exactly what these nutrients do for you, right? Probably not, so let me tell you. Lutein and zeaxanthin essentially help with your eyes’ abilities to filter light and prevent eye degeneration. This helps not only with being out in the sun, but also staring at computer and mobile device screens for extended period of time. With today’s propensity for electronic devices, this benefit of spinach is something we all need. Finally, we have heart health. I don’t know about you, but I find my heart to be a fairly important part of my body, in terms of its total function. Spinach agrees, as it is a loaded source of potassium, which is proven to regulate heart rate and blood pressure. You may be thinking “why do I need spinach for potassium when we have bananas? Everyone knows bananas are the best source of potassium.” Incorrect! One hundred grams of spinach has over 550 mg of potassium. Bananas? About 350 mg. Spinach also has omega-3 fatty acids, which help regulate blood pressure levels as well as give the body additional energy. It also is one of the greatest sources of iron, which combats iron deficiency, especially in vegetarians who don’t eat red meat. Iron deficiency can lead to anaemia, so get your daily dose of spinach to ensure you have the iron you need to function at maximum levels. What are my cooking options? Spinach is as versatile as it is beneficial, with plenty of recipes out there to add variety to your spinach consumption. You can have it as a plain side, add it to a nice pasta dish, or can keep it raw and use it with salad in lieu of iceberg or other greens with less health benefits. I generally like my spinach best cooked. Put some olive oil in skillet, throw in your desired amount of spinach, cover, and cook for 4-6 minutes. Stir in some salt and you’re good to go. If you want to add flavor you can always stir in garlic as well, or add a bit of parmesan cheese. Adding spinach to a nice pasta dish is one of my favorite ways to include spinach in my diet. After cooking the spinach as detailed above, add it to a pasta alfredo dish and you have yourself a healthy and hearty meal. Any nutritionist or sane person understands the necessity of vegetables in your daily food consumption. Regardless, vegetables are not the most popular of food sources for a lot of people. Having spinach in your daily diet is a great way to get the nutrients you need without having to eat a ton of vegetables every day. Spinach is going to help you have more energy, strong bones, and better eye and heart health. Not only that, but it’s going to taste great as well, and is simple to add into any meal. Next time your at the salad bar and your looking at your choice of greens, make sure to add some spinach into that bowl, not just the lighter, crunchier stuff. You’ll be glad you did.